In-house financing can be confusing, then again it's typically better to understand than the alternative. Whenever you hear about auto loans, the terms “approved” and “approval” get thrown around a lot, but they do not have the same meaning. But what do those terms actually mean for you, the consumer? Depending on the dealership, those words can mean vastly different things. As you consider your options with in-house financing, make sure that you understand the connotations of these terms so that you are fully equipped to make your decision! 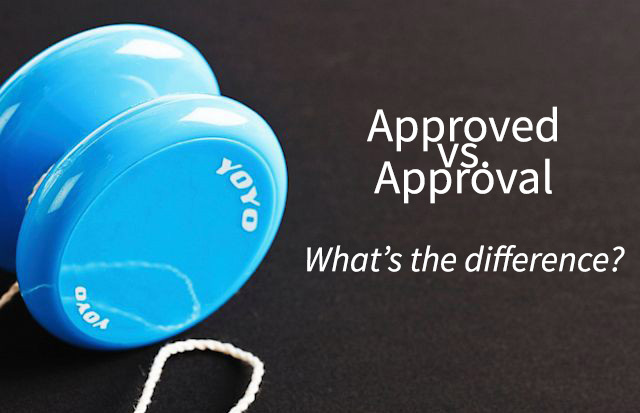 The most typical way the term “approved” is used is in relation to getting approved for a loan. If you’ve been "pre-approved", it means that a lender has agreed to give you a loan when you purchase a car. When you have a problem with getting approved for a loan, you can often make a deal with the dealership and get in-house financing. For those who are going with in-house financing, you’ll still have to get approved by the lender at the dealership. Another way that used car dealerships use the term “approved” is in relation to their authorization to sell a particular brand. An approved used seller has been authorized as an official seller by certain manufacturers, so usually this type of dealership will have higher standards for quality. In this case, “approved” means that you can put more trust in the dealership! One thing to watch out for when you’re trying to get approval from the in-house financing department at a car dealership is a yo-yo loan. 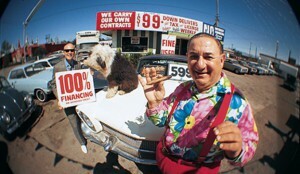 With yo-yo loans, the dealer will allow you to leave the lot with a new car before you gain official approval. You may be thinking that sounds great, but the problem comes from the fact that you don’t yet have a firm agreement with the dealer. When you drive off the lot without finalizing the deal, you open yourself to the risk of being forced to pay extra. You’ve been using the car, so you can’t return it at this point! The scam with a yo-yo loan is that the dealer will call you a few days later to tell you that your financing plan “fell through” and you are going to have to pay a larger down payment or a steeper interest rate. Whatever the case, make sure that your financial deal is completely finalized before you take the car home! Some dealers use in-house financing to help you get started but then fail to report your payment plan to the credit bureaus. If your loan and payments aren’t being reported, then you’re missing out on the benefits that you could be gaining for your credit score! Make sure that any in-house financing plans include reports to all three top credit bureaus so that your credit score gets a boost whenever you make your payment on time. In general, in-house financing can be a great option if you’re struggling to obtain approval from an auto lender. However, make sure that you watch out for yo-yo loans and a failure to report your loan so that you stay on track with your finances. What shady tactics have you come across?